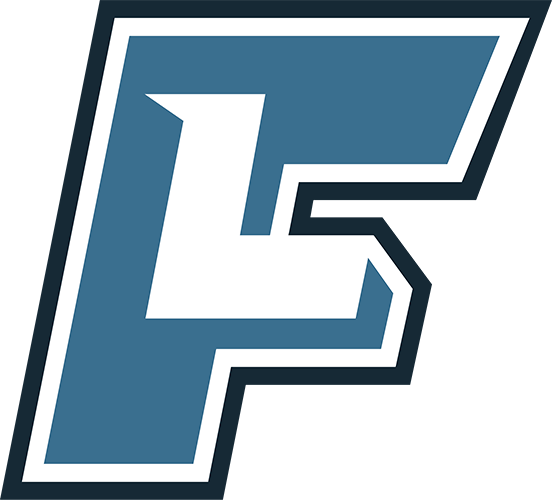 High school and junior college coaches can recommend their athletes directly to college coaches via Athlete Promotions. 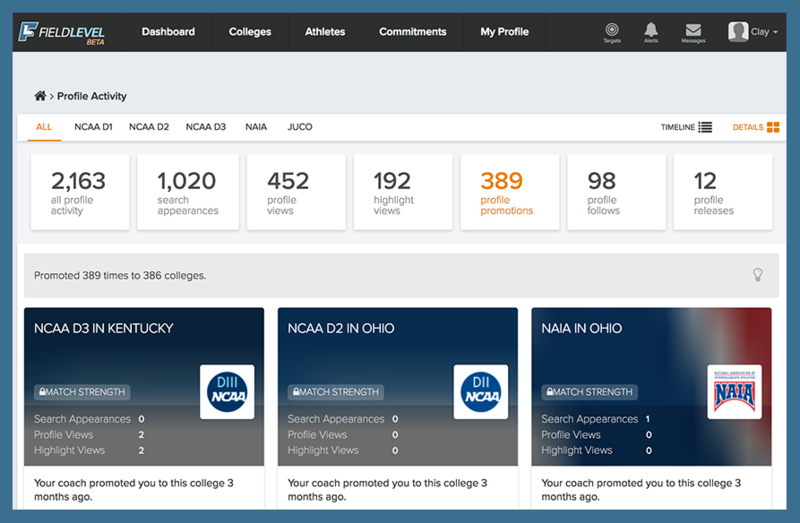 Athlete promotions contain an athlete’s complete profile including video, academics, contact info, coach certifications, and a personal note for college coaches to review. For more information on Athlete Promotions, please visit How Do I Send a Promotion? Having your coaches promote you to college coaches in their networks is a great way to get in front of the right college coaches. 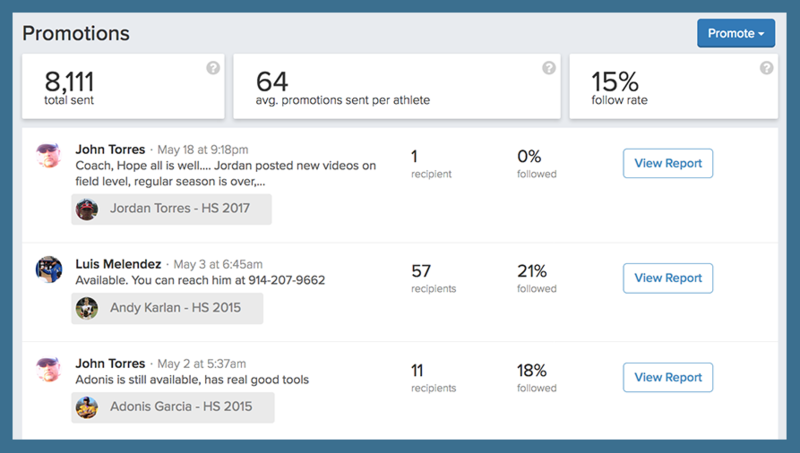 Athletes can track their promotion activity from the Promotion Activity area in their profiles. For college coaches, receiving Athlete Promotions from coaches in their networks is a great way to learn about potential recruits.